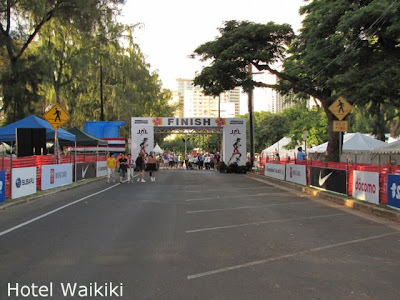 da finish line for tomorrow's Honolulu Marathon from about a 100-yards away. Whew. 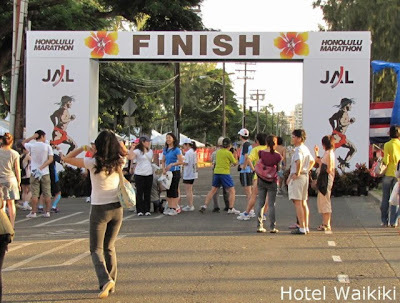 And the Winner of the 2009 Honolulu Marathon is..... Tomorrow's race participants hamming it up. 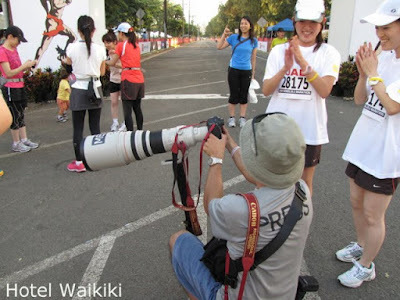 Just look at the size of the lens on this guy's camera. 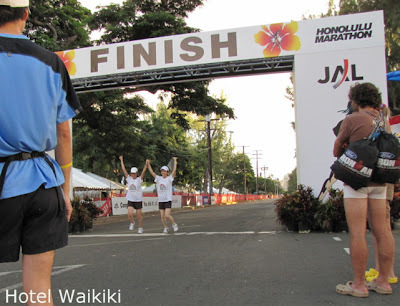 Do you know I never actually saw the Finish Line? Sheesh! I saw him after he passed through. I'm happy to see it on your post. Thank you. Kay- that area around the finish line was fenced off so much that probably only press were allowed in close proximity. I surmise, the organizers want to avoid the lead runner from being tackled by a fan of the opponent, or something.